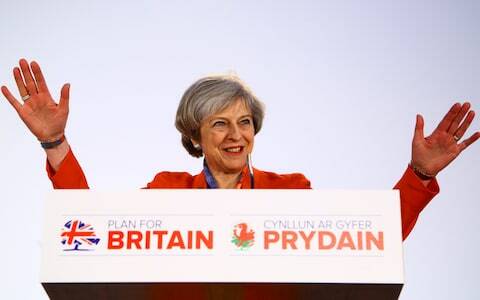 The Prime Minister’s Plan for Britain was launched this week in Cardiff to mass disinterest. Her obsession with the ‘Precious Precious Union’ is a sideshow to her European disaster. But both have resurgent English nationalism at their heart. The omens were not good. “May’s appeal falls flat as EU seizes control of Brexit date” read one headline, while redtops frothed about “betrayal” and bad foreigners. 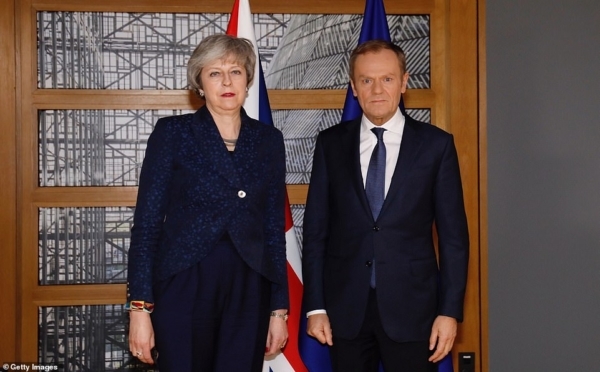 After a marathon late-night session of talks, the EU’s leaders ripped up May’s proposals and a new Brexit timeline was pushed on the beleaguered PM to avoid the cliff-edge deadline of 29 March. Under the deal agreed by May, Britain will now stay a member state until 12 April if the withdrawal agreement is rejected by MPs at the third time of asking. So the Coronation Chicken is binned, the Silly String and the Harvey’s Bristol Cream put back in the cupboard for another day. For the Brexiteers and Lexiteers hope springs eternal, Brexit lives! Independence Day is postponed till nearer Easter and becomes a kind of Constitutional Kinder Surprise. Having spent the end of the week facing her own MPs publicly turning on her, she herself rounded on parliament in an extraordinary broadcast from Downing Street. But May’s latest trip to Brussels has not gone well for those who are still mouthing the Take Back Control mantra in the face of the evidence that power and agency is seeping away from the British state like an animal bleeding out in the dark night. Like our transatlantic cousins “Draining the Swamp” the reality of the world seems to have overtaken the populist slogans of the MAGA and Brexit projects now mired in criminal investigations and exposed networks of collusion, data corruption and dark money. If the Prime Minister’s forays into foreign affairs look crippled by indecision, a complete lack of inter-personal skills and an inflexibility that makes her look both wooden and robotic, her descent into domestic constitutional politics is far worse. As with so many utterances from Theresa May you are left speechless and incredulous at the gap between reality and rhetoric. The idea of the United Kingdom being “one people” after the miserabilist pantomime of Brexit in which politicians – but particularly Therese May – have evoked racism and xenophobia and enacted punitive immigration policies is a “is a union between all of our citizens, whoever we are and wherever we’re from” is a dark fantasy. That Brexit is held up as a cradle of democracy whilst also being used to shut down the possibility of another referendum for Scotland is a sick joke. However this level of delusion and denial may prove useful. On the 6 May 2021 there will be elections to both Holyrood and the Senedd. It is highly likely given the mixture of demographics in Northern Ireland (the long-awaited catholic majority is almost here), the crude contempt with which Ireland has been treated throughout the Brexit process and the emergence of a more benign and socially enlightened Irish state, that Ireland may be facing the prospects of unification. It’s a cliché going back to Lloyd George meeting with de Valera in 1921 that the English do not remember any history, while the Irish forget none. But we are living through historical ephocal times and it’s deeply ironic that Ireland, which for so long looked like a stuckist backward theocracy has been transformed by the Thirty Fourth Amendment and becoming the first country to legalise gay marriage by popular vote in 2015, and by the landslide referendum to change the law on abortion in 2018. While Ireland has seemingly evolved England sees itself hurtling backwards. With the The Lords Spiritual of the United Kingdom – the 26 bishops of the established Church of England who serve in the House of Lords along with the Lords Temporal – who’s the theocracy now? So May’s Precious precious Union faces an existential threat on three fronts at a time when its leader is proclaiming us to be One People. Not everyone is as happy about O’Toole’s analysis or the definition of Brexit as a product of inchoate English nationalism. David Goodhart writing in the New Statesman responds to the analysis he sees forming a consensus from the likes of David Olusoga, Anthony Barnett, Afua Hirsch and Pankaj Mishra. Except that Goodhart misses the key point. England does not exist to “act in its own interests”. Stating the obvious it acts as – and dominates Britain. Goodhart is so blind to this he frequently confuses and misplaces England and Britain as if they are either interchangeable or the same thing. He can’t help himself. Britain/England are virtually the same thing, even in an extended essay moaning about the lack of self-expression for English identity. The dismissal of the very real problems of an increase in racism is a common new post-Brexit trope amongst right-wing commentators, as is the revival of Empire Loyalism and revisionism. If the extension to Brexit imposed by the European states on a floundering British leader represents a new humiliation for those desperately seeking power and sovereignty (whilst being quietly terrified of it) it also extends the notion of Brexit being a process rather than an event. Brexit was supposed to be an event, a liberatory event, even if you didn’t vote for it or were resolutely against it, like Scotland. Still we would have our liberation even if we didn’t want it, kind of like Stalin meets St George. Brexit is English nationalism using Britain as a proxy. It has to dress up as the oppressed and act out various stages of “liberation” whilst simultaneously repressing self-determination within the Precious Precious Union. It is now very likely that this will be the point in which the union collapses and a new set of relationships emerge from this broken shambles. The PM (TM) is believed by no-one and is isolated in her precious lovely imagination of a Union. 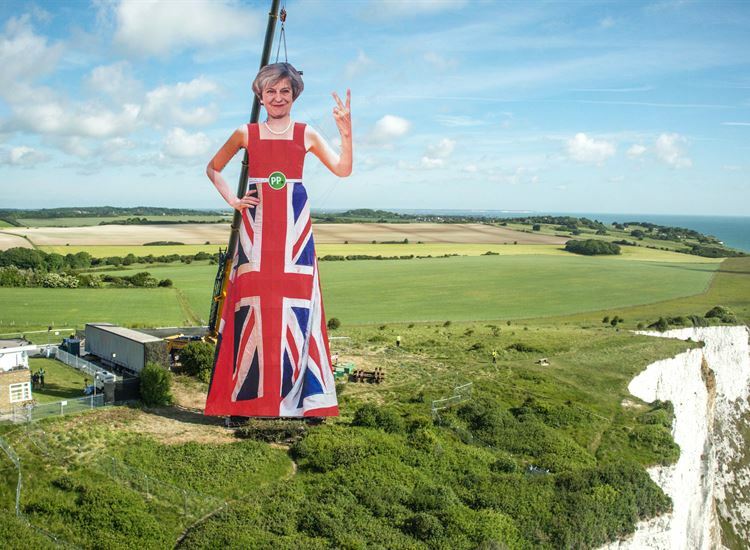 Since she loves Scotland so much why don’t we cede her The Isle of May where she can see her days out as a rambling eccentric hermit? I prepared a rebuttal of Fintan O’Toole’s argument but I keep covering the same ground as 100 times before so I’ll give up. I’ll simply say that I thought what he wrote bordered on racist hate speech even though it was lapped up and endorsed by many English people who retweeted it and quoted from it as if it were wonderfully profound. 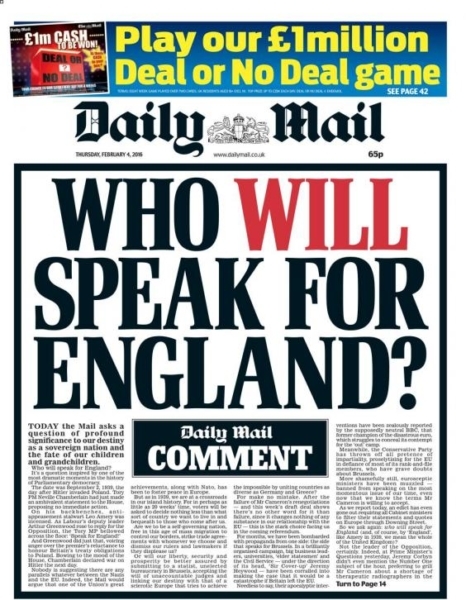 English people don’t suffer from self-hatred any more than anyone else but they do suffer from a tendency towards contempt for their countrymen/women. This is why the Brexit debate in England tends to consist of one side calling the other a bunch of ignorant xenophobes while the return argument is that the rival team are all elitist snobs. If you happen to be on the snobs’ side then O’Toole’s article can be used to characterise the other rabble while denying that he could possibly have been referring to people such as oneself. As a person who has both Irish and English blood I don’t know whether I’m a good guy or bad, a victim or an oppressor. Perhaps I’m Irish when I put the kettle on and English when I tie my shoelaces. I’ll check in the mirror next time and If I seem to be tying them in an particularly imperialist fashion then that’ll be my English side coming out. There used to be an English National Party but it was utterly irrelevant. It’s now the English Democrats and has even less success than it did as the ENP. That’s because English nationalism is politically a non-starter, appealing only to a fascist fringe that is roundly mocked by everyone else. St George is dead, and lamented by virtually no-one. An anonymous Irish poem. Posted here rather whimsically perhaps. Your mention of tying shoelaces did it. But also your being of both Irish and English descent. Then of course there is the article’s description of an increasingly decrepit British State. Maybe the poem poignantly personifies the latter. Or maybe it is just myself I am glimpsing in the “mirror”, which you also reference. ciall is óige dom fhágáil. And late the day that closes in. As wit and youth walk out on me. Another example of why independence should be a necessity for Scots. Thank you Fearghas MacFhionnlaigh. That made me smile as I enjoyed vitamin D and turmeric tea. Laziness has broken the backs of my “clogs”. As with brexit, something has to give. You do not seem to accept David Goodhart’s assertion that hate crime might be – in fact – be declining. According to John Lloyd, writing last week in the Scottish Review, violence against black people in the UK is second lowest in the EU. John Lloyd’s article is an excellent critique of those who accuse England (or the UK) of being consumed by imperial nostalgia. An enjoyable article but, for me, it conflates the idea of Englishness with Westminster. My experience over a number of years has been that English people are very like Scots – apart from perhaps our sense of humour and our political leanings. Westminster on the other hand is inherently English Nationalist. The two main parties, putting party before nation, know that, not only must they appeal to the people of England to be in power, but to the fringes of English voters as the majorities are pretty set in their views. Perhaps Brexit will turn out to be a positive for the UK. If it breaks the Westminster system it can only be a good thing. I doubt it though. Westminster is well able to protect itself. That’s why I stopped voting Labour after 35 years. Only independence will give us any real chance of building the sort of society I’d really like to live in.